In a move that will not be a surprise to too many, Roman Abramovich and the Chelsea board have reacted to yesterday’s away defeat to West Brom by showing Andre Villas-Boas the Stamford Bridge exit door. Assistant First Team Coach Roberto Di Matteo has been promoted as AVB’s interim replacement until the end of the season. So, just as it appeared the chiefs had developed some patience with a manager, Villas-Boas joins the Chelsea managerial casualty list far earlier than he would have liked, having taken charge of just forty games in total. This most recent brutal firing of a Blues boss has left a lot of supporters asking questions about the competency of those in the hierarchy at the club, a question that in time may require an answer from the likes of Ron Gourlay. 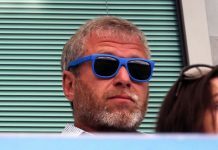 It must be remembered, however, that ever since Roman’s arrival in West London, there has been an impatience for success which was rewarded almost instantly when the club struck managerial gold in acquiring Jose Mourinho. The by-product of all of the success the Special One delivered in such style is that the position of manager at Chelsea has ever since become one that is almost impossible to keep. The list of high-profile names that have been dismissed by the club tends to grow by the season, but the question is, where does AVB’s sacking stand among the rest? Let’s go back to the start. The Premier League campaign began with what many felt was a credible goalless draw at Stoke, with a battling performance that gave little indication of what would follow over the next seven months. AVB identified that Fernando Torres was in need of a confidence-boost, and responded by starting him the opening run of fixtures. Jose Bosingwa’s regular inclusion at right-back in what was a new, vastly open and attacking philosophy, also seemed to indicate that he was now first-choice in his position. West Brom, Norwich, and Sunderland were all defeated in August and September, and goals from David Luiz and Mata ensured that the Champions League campaign opened with three group-stage points from the home clash with Bayer Leverkusen. Then came Manchester United at Old Trafford. In a gung-ho first half, AVB somewhat harshly found his team three-nil down at half-time against the Champions. Chasing the game, Chelsea stalwart Frank Lampard was hauled off and Nicolas Anelka was brought on in his place. It was clear from this point on that our young manager was not afraid to make the big decisions when he saw fit, and even though this particular substitution made an immediate impact as Anelka provided the assist for a Torres goal just after second-half kick-off, it is one that, in retrospect, will be considered one of the major turning points of his managerial reign. A mini-revival followed, as Fulham were eliminated from the Carling Cup, the club managed three straight wins in the league, and European form remained strong as a decent point at Valencia and a 5-0 hammering of Genk put the team in pole position for qualification for the knock-out round. Including his goal against United, Torres showed some sign of regaining his form with four goals in this spell of games, but, following a red card against Swansea, he found it difficult to reclaim a place in the side on his return from suspension. It was a questionable approach given the prior effort that had been expended on supporting the striker in getting back to his best. … and we would not have to wait long for the next one. After a very good result in knocking Everton out of the League Cup at Goodison Park, our next league game saw us take on Arsenal at home. Already off the pace with Premier League pace-setters United and Manchester City, three points from our London rivals were essential to maintain a presence in the title race. Instead, the criticism of AVB’s apparent lack of care towards defensive structure intensified as a host of individual errors contributed to a 5-3 loss. A solid win at Ewood Park the following week helped raise spirits, but Blues fans saw their side lose a second home game in a row as more shambolic defending condemned the side to a 2-1 loss to Liverpool. 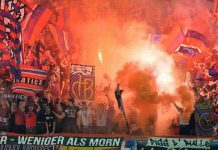 Questions were being raised about the set-up of the side, as well as the inclusion of certain individual players. The persistence with Bosingwa at right-back frustrated many who saw, and still see, Ivanovic as a far more reliable option. 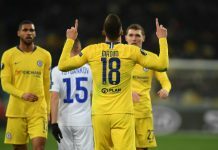 David Luiz was also displaying some carelessness, but Alex was not even considered for a place in the side having submitted a transfer request. The same fate would soon await Nicolas Anelka, who looked to be engineering a move to Shanghai. 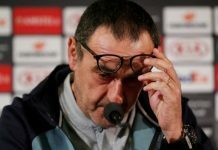 Following a draw at Genk, a loss at Leverkusen left Chelsea to face Valencia at the Bridge in what was effectively a play-off for qualification for the next round of the Champions League. Drogba rolled back the years and hit two in a 3-0 victory. 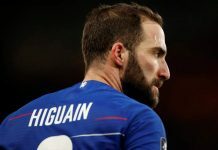 This highlight followed disappointment as another home defeat to Liverpool saw our participation in the Carling Cup ended, but excellent wins against in-form Newcastle and league-leaders Manchester City in the Premier League saw Chelsea appear to gather momentum. Confidence was quickly deflated, however, as a dip in form over the the Christmas period consisted of a winless run of four games, the worst of which was our third home defeat of the season, a 3-1 loss to Aston Villa on New Years’ Eve. 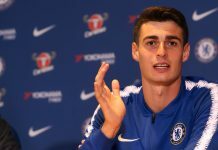 The morale crisis was deepened as stories surfaced that Alex and Anelka, previously title-winners with Chelsea and well-respected and liked members of the first team squad, had been banished by Villas-Boas following their respective transfer requests. Opinion was largely divided over whether the managerial regime’s decision to isolate the two players was a necessary step in the process of rebuilding the squad, or in contrast whether or not the two veterans may have actually merited consideration for their places in the side given the poor run the team was on. An unbeaten January was just the tonic for Villas-Boas, as Portsmouth and QPR were dispatched from the FA Cup. Yet league form was still somewhat patchy, as victories over Wolves and Sunderland were undermined by dismal draws against Norwich and Swansea. Despite the fine form of Danny Sturridge and Juan Mata, both of whom AVB had successfully integrated into the team throughout the season, the lack of a potent goalscorer was becoming apparent as the team left both Carrow Road and the Liberty Stadium with less points than they would have expected. Villas-Boas signed Gary Cahill from Bolton for £7million early in January, but was reluctant to play the defender despite the patchy form of Luiz. Injury to John Terry, however, meant that Luiz and Cahill would be paired as February’s fixtures opened with the visit of Manchester United. More defensive questions were raised as a 3-0 lead was surrendered as United rallied to take a point with a 3-3 draw. It would be the last time we would see the side score more than one goal in a game under the Portuguese manager, as an away defeat to Everton and an FA Cup home draw against Birmingham saw the pressure begin to mount. 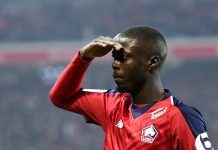 More elementary defensive lapses allowed Cavani and Lavezzi to severely damage the Champions League campaign Naples, and although the convincing 3-0 league win over Bolton appeared to buy AVB some time, the demoralising manner of the defeat to West Brom has prompted the board to pull the trigger. The rebuilding process is one that timing dictated Villas-Boas would be forced to undertake. The problem is, when players who have contributed to a club’s success to the extent that many of ours’ have, trying to subtly oust such players becomes a very delicate task. 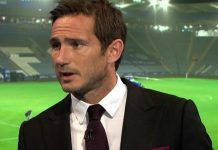 Lampard will feel that his form hasn’t especially dipped from last season, and with time ticking on his career, he will not want to see his legacy tarnished. And one might suggest he has the support of more than one or two of his team-mates. And there is enough about the reign for fans to have criticised. The devotion to picking out-of-form players such as Bosingwa and Malouda, the stubbornness in refusing to accept any questioning of faltering tactics, and the bizarre omission of big-money signing Romelu Lukaku from pretty much anything first-team related are just some of the wonderings on the terraces. With all the negatives that can be drawn from such a short spell at the Chelsea helm, I think it is only fair to also acknowledge the positives. 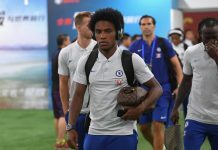 Having signed Juan Mata, made a first-teamer of Danny Sturridge, and transformed Ramires, AVB has played a big part in the development of three young stars who, given they stay at the club, could have major roles for years to come. The overriding feeling is that AVB has started a job that, rightly or wrongly, he will not be allowed to finish. 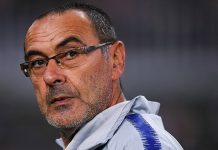 As Chelsea fans the best we can hope is that his legacy is that of being a catalyst for change; the first man to come in and truly try to initiate an new cycle at the club. The call from SW6 seems to be unanimous. The man the supporters want to see pick up the reigns from AVB and continue the rebuilding job is the same man who started the cycle that refuses to die. And if the supporters get their wish, it will be Jose Mourinho who makes a fairytale comeback to effectively revamp and resurrect the Frankenstein he originally created, should his expected departure from Real Madrid materialise. The way life is, I wouldn’t put money on it. 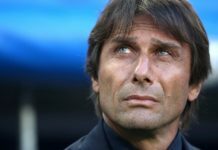 In fact, all realistic fingers point to the possible summer arrival of former nemesis Rafa Benitez, a prospect Chelsea fans are protesting against just as passionately as they are clamouring for Jose. Was he as bad as Scolari? Should he have replaced Ancelotti in the first place? Should we have given him more time? The answers to the many questions we are asking at the moment are irrelevant. Di Matteo is boss for the rest of the season and whatever the long-term implications are will be dealt with in the summer. 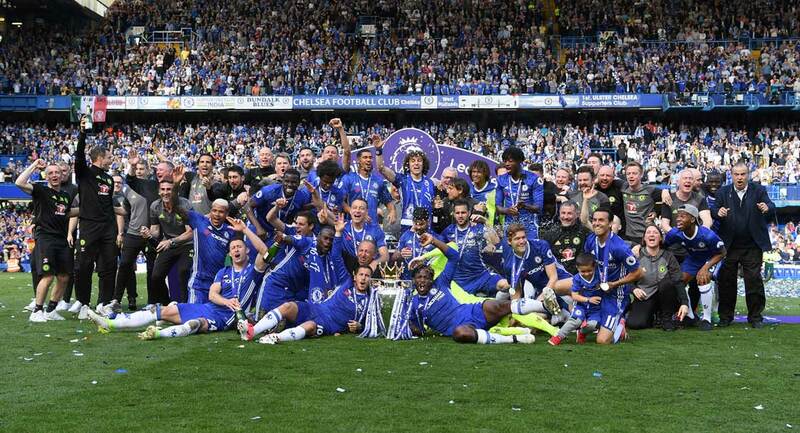 Until then Chelsea need to show some of the unity that seems to have been lost since the Ray Wilkins debacle if we are to salvage anything from this roller coaster of a season. And what now for Andre Villas-Boas? He has made no secret that he is happy to have rekindled a positive relationship with his former employers at FC Porto, so he may be in-line for a potential return to the club he brought so much success to only last season. 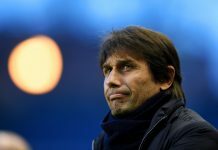 But with Inter having supposedly been eyeing AVB last summer at the same time Chelsea were, the San Siro is perhaps a more likely option if the Italian club still retain their interest. He is still a young, fresh, intelligent manager, and I for one wish him the best of luck for his future and hope that he is able to find himself a new club with which to fulfil his undoubted potential. Many have already made reference to the notion that he was the right man for Chelsea, but at the wrong time. Only time will tell. Next articleAVB out, ABCs in?